I've been tackling a new genre – the middle grade novel. And after hammering out the latest draft of a novel-in-progress and getting solid feedback, I was excited to put the "work" into a workshop. So, I kept an eye out for just the right opportunity. 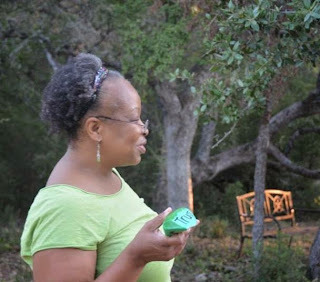 On a message board, I saw mention of The Full-Novel Workshop at The Writing Barn in Austin, Texas, and amazingly, the week of the workshop was completely open on my calendar. It was like the stars had aligned and I'd gotten the approval of the universe...not to mention explosive enthusiasm from family, writer friends and my agent. As it turned out, the workshop hit me just right – at the right place in my career, in my novel process and in my life. I struck gold. But not entirely by accident. A writing workshop can be a serious commitment – travel expenses, workshop fees, time away from "real life." There are many to choose from – across every genre and for every stage of your writing. So how do you pick? It takes a little soul-searching, a little researching, and a leap. My work-in-progress had been through a round of critiques and revision. My agent had read the first 50 pages. Her response? "Love it. Finish it." But I struggled with story structure. I needed a workshop that provided not only critique and revision time but also instruction that would put new tools in my novel-writing toolbox. 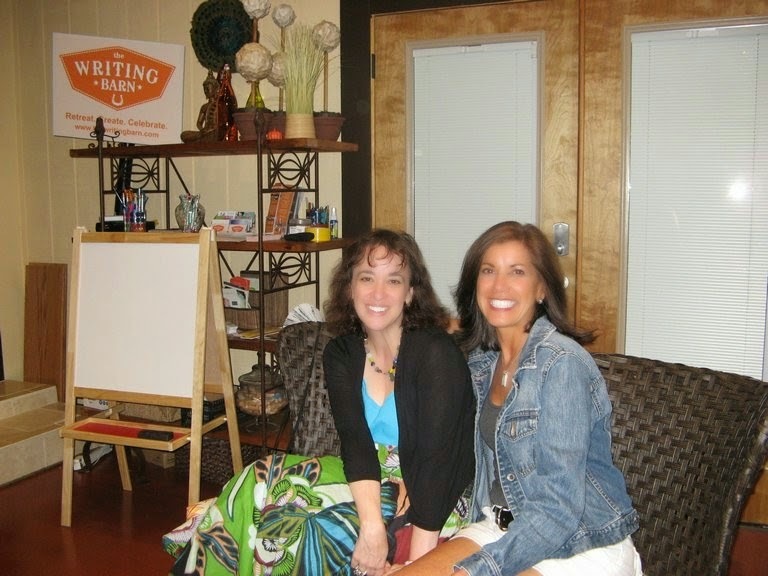 A workshop should meet you where you are in your writing process and match your experience. If you're new to writing, look for workshops that focus on the nuts and bolts of your genre. If you're farther along or befuddled by feedback you've received, you may need to revisit the art of story again, from a fresh perspective. If you're published, consider a master class designed to take your writing to the next level. Often writers seek out workshops where they'll have opportunities to pitch to agents and editors. But if your manuscript isn't ready, you won't be doing yourself any favors. Do you need instruction? Critique? Time to write or revise? Time to relax and refresh? Or all of the above? Are you wanting to focus on specific techniques like outlining, plotting, revising? Are you hoping to get a first draft down or tackle a revision? Do you want to be paired with a mentor? And, if so, what do you hope to gain from that? Finally, how much time do you need to accomplish your goals and how much time can you commit? One word – research! Faculty? Facility? Food? Almost any answer can be found with some investigating. 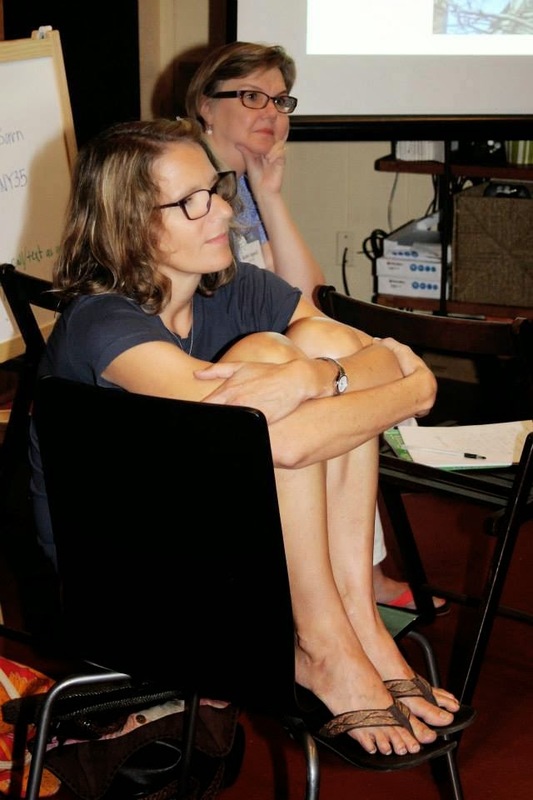 The Writing Barn publishes detailed workshop schedules, faculty bios and facility photos on their website. I knew how my week would look – ample time for revision, instructional programming, mentor meetings, visiting author evenings, social time, plus a trip to BookPeople – before I committed. But I went farther. I scoured faculty online interviews. I read their books. I searched forums and message boards for reviews of workshops they'd taught. And I asked trusted pros in the industry. My conclusion? The Writing Barn faculty were teaching experts. If a workshop you're considering includes a critique, pay attention to who will be providing your feedback. It may come from a peer participant, an author, an editor or an agent. My workshop included a full-novel critique from an award-winning author and one-on-one discussion time with her. Score! Plus, the low teacher/student ratio throughout the week offered me a more personal experience all around. Consider the workshop location and travel options. While remote locales may appeal to your creative wanderlust, a "planes, trains and automobiles" journey to and from a venue can completely curtail your positive experience. And don't forget to check out accommodations. My creativity thrives in cozy settings and the "Caldecott Room" at The Writing Barn was just the ticket. Are you an introvert? Find a workshop that provides private space for recharging and common spaces for spontaneous sharing and socializing. Ah yes, that spontaneous sharing might end up being the most valuable part of your workshop experience. While sitting on a front porch over a glass of wine discussing a main character's "controlling beliefs" – you just may unlock the secret of your story, clear the path for a successful revision and make lifelong friends. I know I certainly did. Check The Writing Barn website for additions! Great post, Jean...so comprehensive. These are things we absolutely need to think about when choosing a writer's workshop. Thanks for the list.